No matter your running experience, slowing down (sometimes) can speed you up. – By Matthew Solan. Walk Signal: You’re fighting fatigue or leg soreness near the end of long runs or races. This often means you’ve gone out too fast, says Hadfield. To combat that tendency, walk early on. “Periodic walking can provide more overall rhythm with your pacing by making you slow down,” she says. Taking walk breaks also lowers the impact on your body, which may prevent cramping. A mix of walking and running (in the range of 5:35 to 8:20 minutes per 1km) helped runners conserve energy. Walk this Way: During your weekend long run, briskly walk for 30 to 60 seconds after every 1.5km, no matter the overall distance, says Hadfield. Walk Signal: You’re running fast intervals. Walking in between intervals instead of stopping to rest keeps your body ready to run. “Walking helps push blood back to the heart and muscles, which can reduce cramps and heavy legs,” says Terry Nicola, Assistant professor of clinical rehabilitation medicine. If you usually jog between intervals, walking instead can help you recover more completely so you can do your repeats faster. Walk Signal: You’re tackling a giant hill. Whether your longest run or race is eight kilometres or 80, taking walk breaks while going uphill can help you manage energy. “When you attack a hill, you often are exhausted when you reach the top,” says Hadfield. “Walking up helps you avoid the crash-and-burn.” You can make up the time on the downhill. Walk Signal: You’re taking in water or food. It can be challenging to eat or drink (and not spill) while you’re running. But taking in 30 to 60 grams of carbohydrates every hour, and drinking when you’re thirsty, can mean the difference between a runner’s high and a let-down. Walking while refuelling helps ensure that you’re getting what you need to perform your best, says Hadfield. Walk Signal: You’re tensing up, shuffling your feet, or otherwise falling apart. If you struggle to maintain comfortable form during long runs, weaving in regular walking periods can help you reset. “Your brain gets lazy during long runs, which can make your form sloppy,” says Tom Clifford, Track & Field Coach. 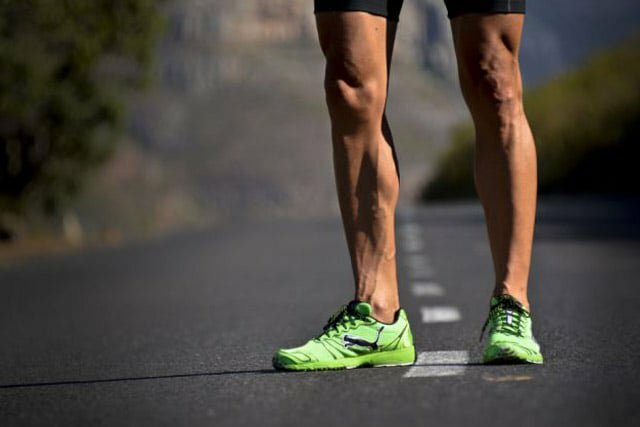 “You can begin to sway, drag, and scuff your feet.” Periodic walking breaks can help you run more efficiently, and more comfortably.